For the past 11 years I have attempted to bring in the best in quality and price in natural and organic supplements and body care products. These are exciting times in natural healing. We have at our fingertips time-tested potions and elixirs that support the body’s own healing brilliance. Now very popular and increasingly supported by clinical studies is medicinal hemp with high concentrations of the compound that is commonly known as CBD. We are selling CBD-rich hemp in capsules that contain 28 mg per capsule. These are made right in Stonington by Coastside Bio. Most popular are our tinctures and salves from Wild Folk Farm in Benton. But there’s so much more for support your natural balance: We continue to carry the full line of Himalaya organic Ayurvedic supplements, which are prescribed medicinally by 350.000 MDs in 92 countries worldwide. StressCare is their most foundational, holistically helping to support the body’scortisol levels and stress response. 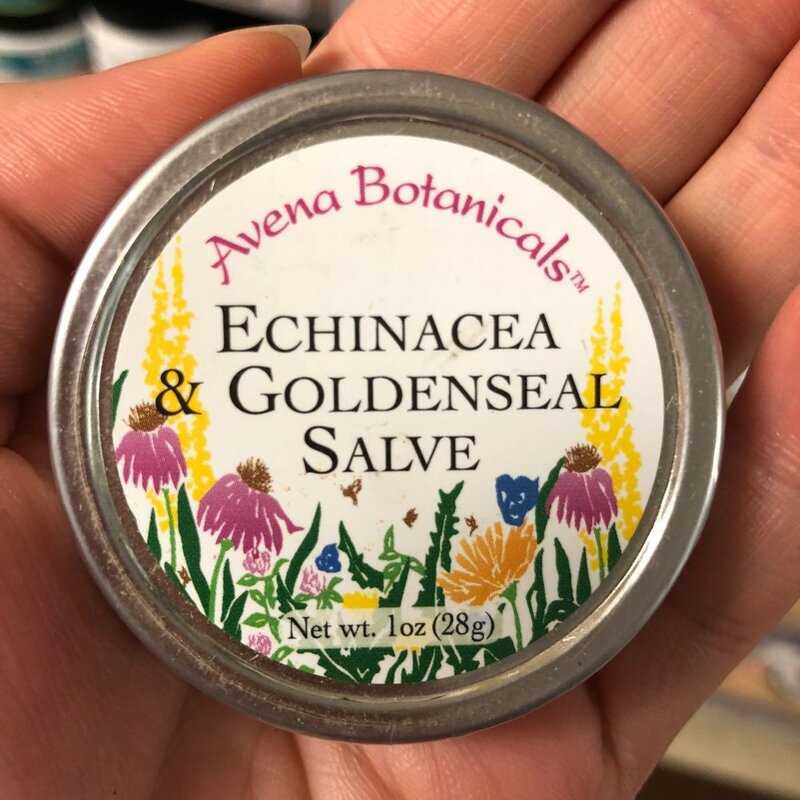 In the world of western herbal medicine is Avena Botanicals from Rockport, Maine, is a big favorite, offering one-ounce tinctures of echinacea, hawthorn, chaste tree, astragalus, gingko, St.John’s Wort and many more. Even with our currently limited size, the Blue Hill Co-op has a massive selection of vitamins and supplements! Weather you're looking for herbal, mineral, dietary, something else to heal or help your body be its best, you can find it at the Co-op. If we don't have what you're looking for, our wellness buyer, David, can most likely order it for you. 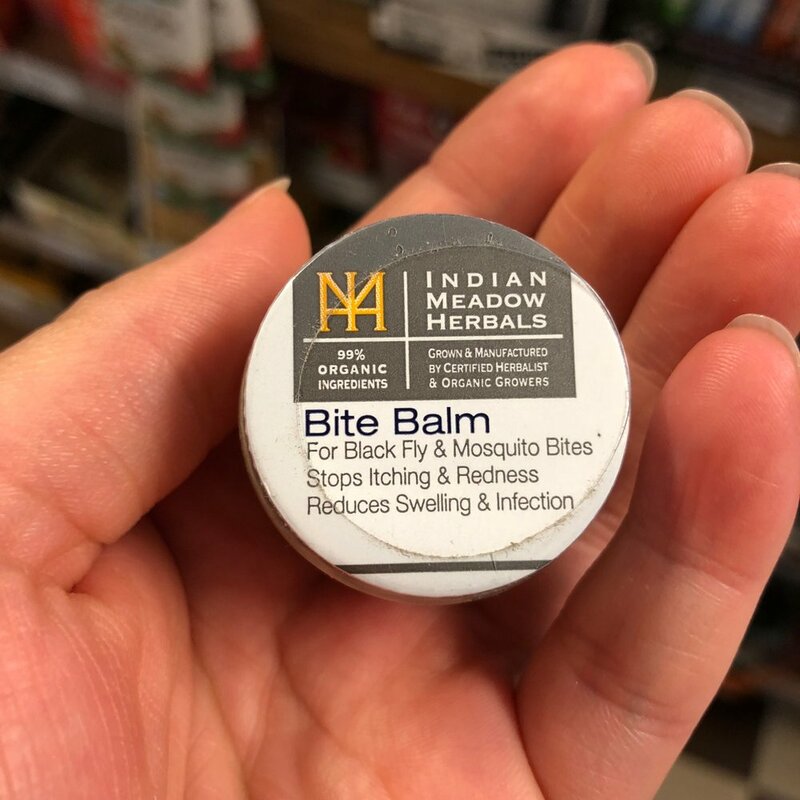 The Blue Hill Co-op carries a full range of homeopathic remedies covering a myriad of ailments. Herbal supplements in liquid form!If you're feeling under the weather, one of the many tinctures on our shelf could be the answer. It's important to keep your skin healthy and happy. Many of the CBD hemp products we carry are made right here in Maine, with locally grown hemp. Ah, Bach, a constant support for our emotional wellbeing. 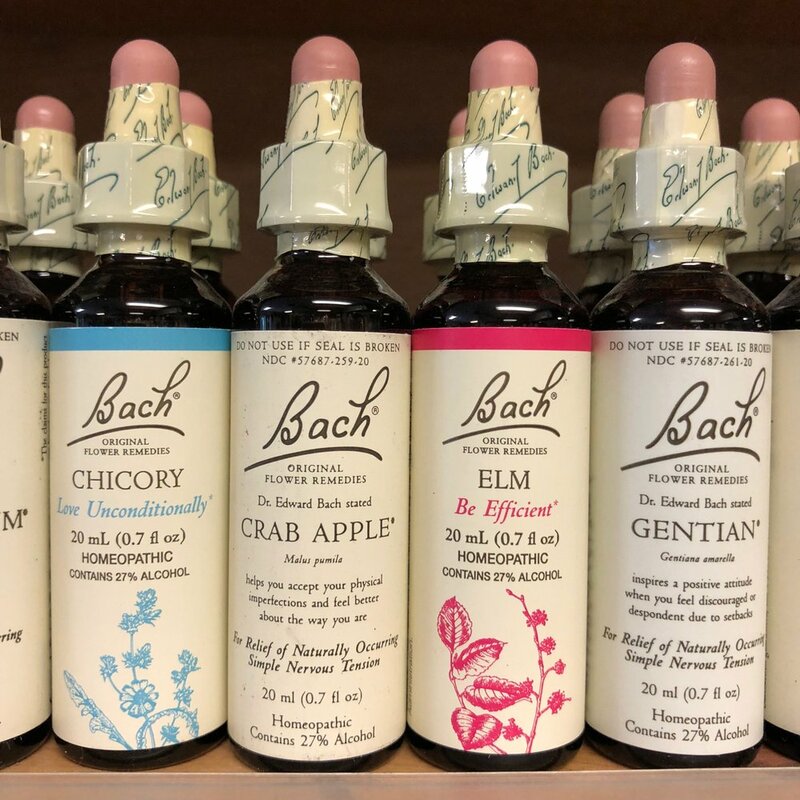 We carry the full range of Bach Flower Essences as well as many Rescue Remedy products. Whether you are looking for healing, spiritual balance, perfume, or something to put in you diffuser we have hundreds of options. Keep your gut healthy and happy with probiotics! If swallowing pills or capsules isn't your thing, we have gummies or drink mixes as well. When you have an owie and need some aid. Keep your bathroom cabinet stocked with these natural helpers. If you need some relief from aches and pains we have many options for you. From Chinese remedies to Arnica, you can find something right for you. Isn't it the worst when you can't get to sleep? Instead of drugging your body with chemical sleep aids, try getting your rest the healthy way with these natural sleep remedies. Find the best natural vitamins and supplements for your kids! Got to keep those pearly whites as healthy as possible! We have lots of options for toothpaste, brushes, floss, mouth wash, and more. Summer is a wonderful time for hiking, gardening, swimming, and other outdoor activities. Still, you have to protect yourself and the Co-op will help you do that without harmful chemicals. Maintain your skin's healthful glow with natural skin care products. Pamper yourself with the all natural Dr. Hauschka. If that's out of your price range, try EO or one of our other lotion brands! 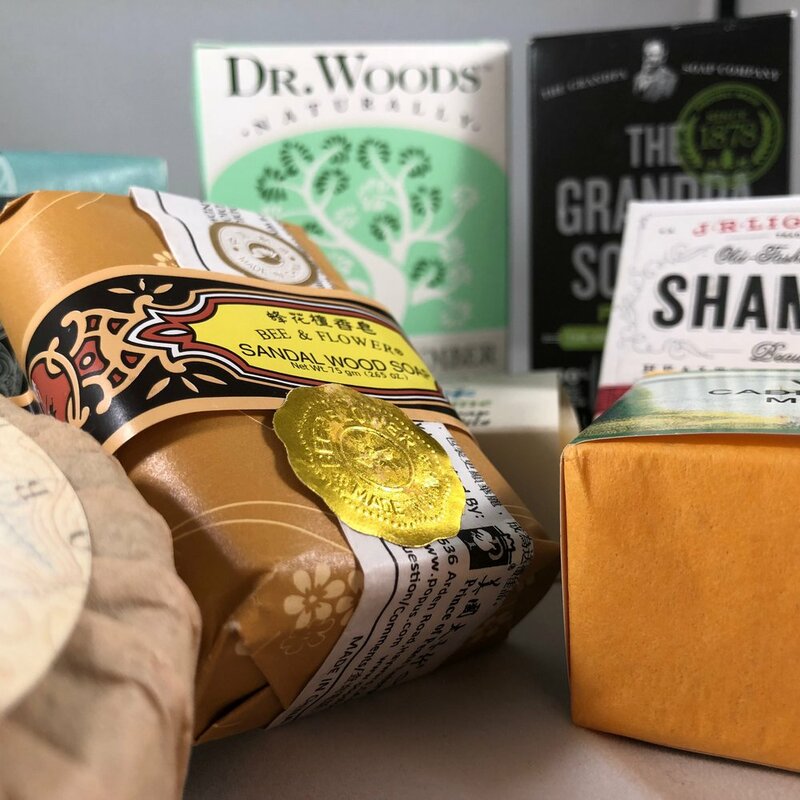 We carry a wide selection of soaps, both liquid and bar. Many of them are local, all of them are all natural. Mainstream haircare can be full of chemicals, bad for your health and bad for the environment. Up you don't have to give up clean hair. 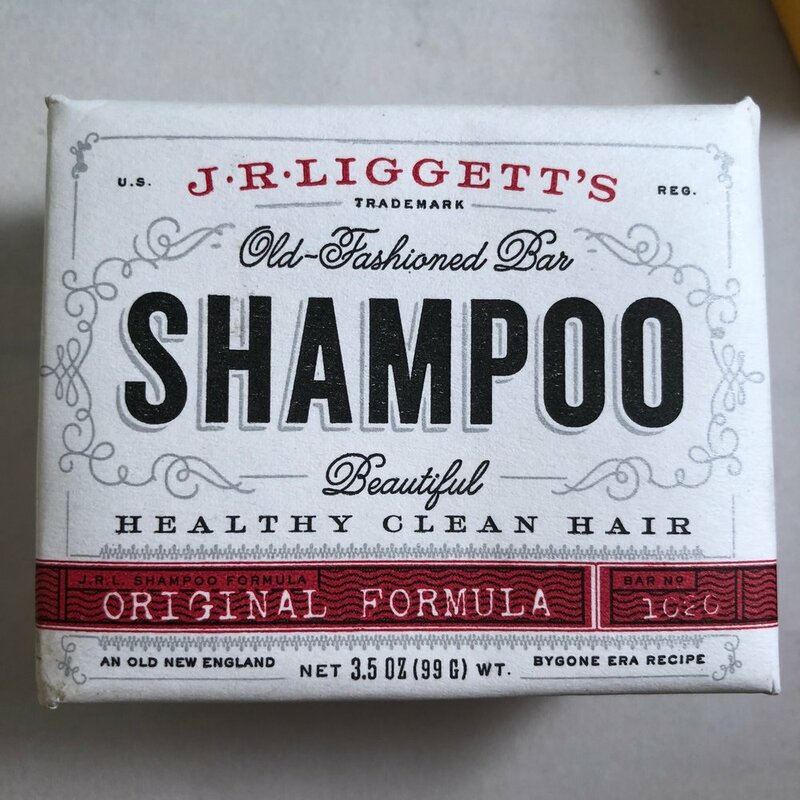 The Co-op has lots of natural shampoos and conditioners as well as styling products. Get your all natural items for that time of the months. Non of the harmful chemicals that hang out in other mensural products. WHAT WILL THE Health & Wellness DEPARTMENT BE LIKE IN THE NEW STORE? We’re already one of the best sources on the peninsula for supplements, vitamins, CBD, and natural body products. With more room we’ll have more selection.